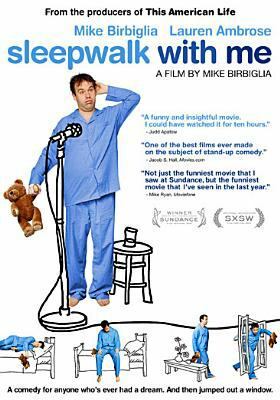 In 2008, comedian Mike Birbiglia wrote a one-man off-broadway play about his experiences with rapid eye movement behavior disorder, which causes him to act out his dreams and sleepwalk. His symptoms are exacerbated the longer he goes without expressing himself and dealing with his stress, resulting in him performing increasingly dangerous acts in his sleep. Including a time when he ran out of a second-story window of a Walla Walla, Washington hotel room, resulting in 33 stitches in his leg. Birbiglia’s one man show Sleepwalk with Me, has become the defining story of his career and has been translated to a segment on the NPR show This American Life, a book, a stand-up cd, and a movie staring Birbiglia as himself and Lauren Ambrose as his girlfriend. Birbiglia isn’t a big personality and could best be described as a sad sack, but his wit and honesty make this absurd story feel relatable. 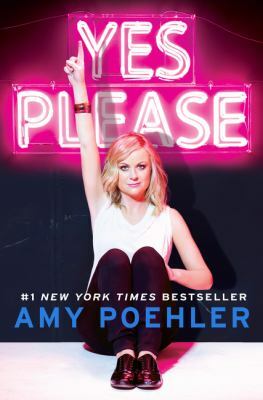 The film, book, and stand-up cd all have similar content and are all available at the Davenport Public Library. I would recommend any of the three, but the film is especially fantastic. Any fans of comedians Patton Oslwalt and Marc Maron and the show This American Life that somehow haven’t heard Birbiglia’s story need to check it out asap.